M1050 LRF 10x50, Laser Rangefinder is rated 2.0 out of 5 by 1. Rated 2 out of 5 by jermain from OK The LRF does not return on targets over about 1100 meters. The Claim is for returns on "highly reflective" targets out to 1860 Yards. What constitutes a highly reflective target? A man, a tank, a mud building, maybe a mirror? I guess if I'm ever targeting massive mirrored office buildings these are the binos of choice! I don't know why they call them "military." They are rugged and can probably take a beating, but beyond that there isn't much "military" about them. There is no Mils pattern for round spotting, so they are just civilian binos with an under performing LRF. For the exuberant cost I expected more, the non-expiring warranty and superb optics removes some of the bad taste in my mouth, but I would not recommend this purchase for anyone doing serious Military tactical targeting. Good afternoon. 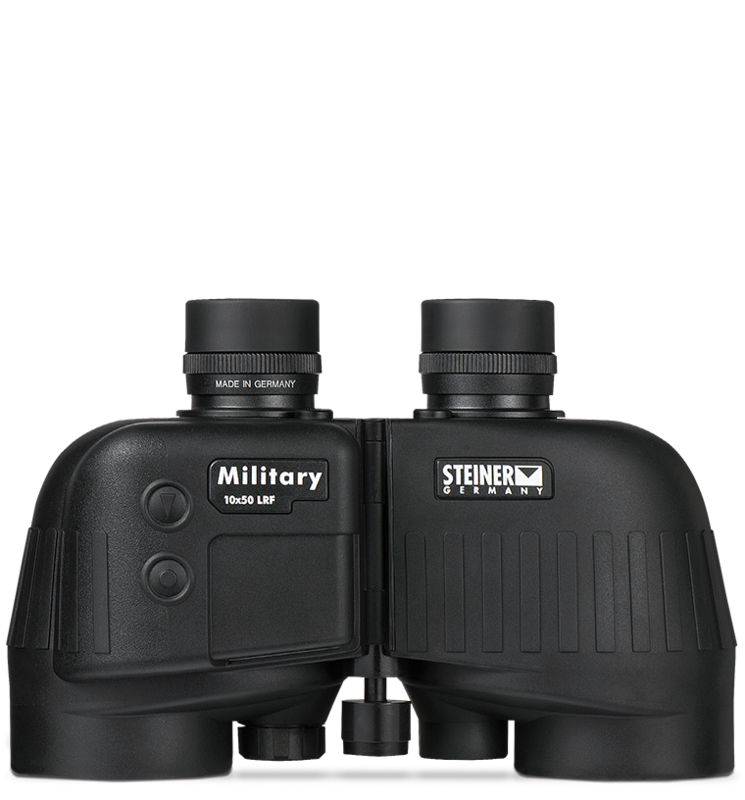 I want to buy the Binocular Steiner M1050 LRF 10x50 LRF Ref. 5977 in Colombia. it's possible? what is the price? Unfortunately, no importer is currently established in your country. Do you make a case for the 10x50 LRF? I just purchased a pair of M50 LRF binoculars and am trying to figure out how to mount them to a tripod. One of my reasons for purchasing this unit was the &quot;Tripod Mount&quot; feature sited in the specifications. The very front portion of the center post is actually a threaded cap, insert a flathead screwdriver or coin into the slot and twist it off, and it will expose a standard tripod mounting plate. I purchased the 10x50 LRF binos and like them so far, but how does the tripod mount work? I can't find any obvious mount and the manual doesn't address it. hello, where can I buy this item steiner lrf 10x50 &nbsp;in Sweden? I have Steiner Military 10x50 LRF that need to be repaired. Can you send me to the nearest repair point? What is the Max range for the laser range finder?